I thought it was cold, but I didn’t know it was THAT cold. 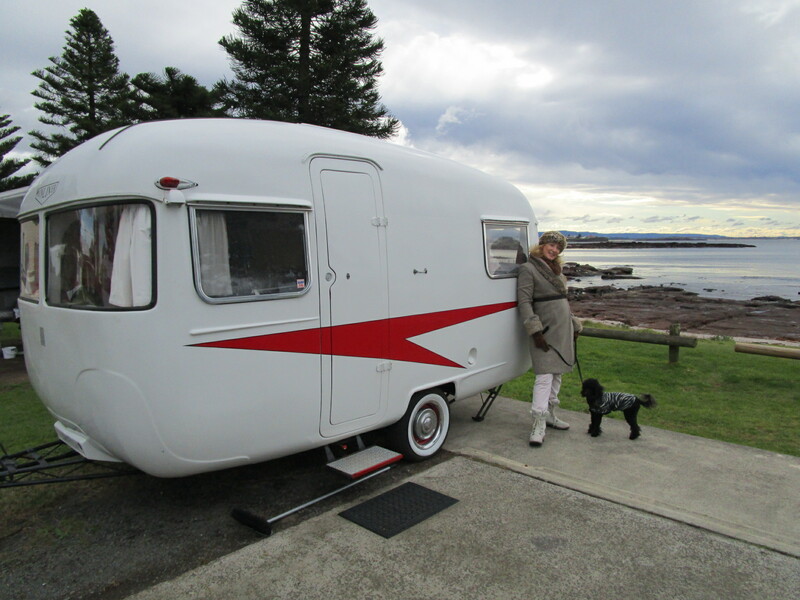 We found out after we got home that we had experienced the coldest weather in 60 years during the weekend we headed to Shellharbour. 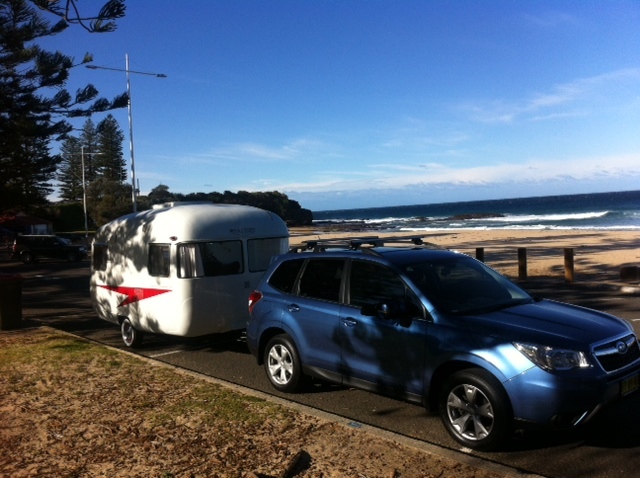 We’re selling our VW Golf now that we have a new Subaru Forester SUV to tow the caravan. This was our first weekend to see how it performed. It was a breeze – yes, very breezy. In fact we towed in “very high wind” weather warnings. Again, we didn’t know it was THAT windy until we got home. I really must look at the weather forecast next time we plan to go away. 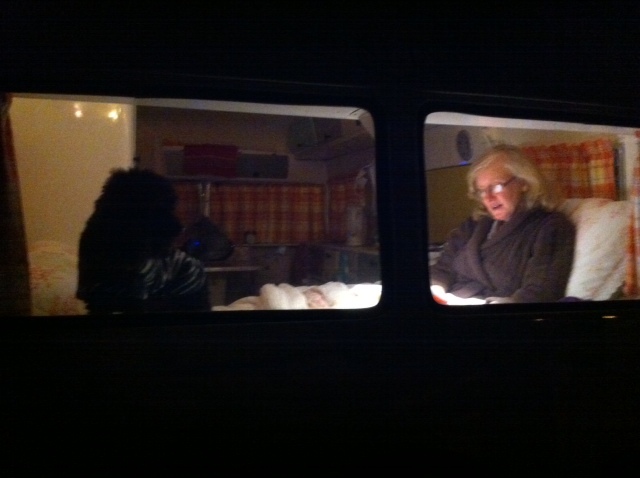 Inside the caravan was toasty warm (thanks to thermal underwear, an electric blanket and fan heater. You can see the chill on the window at 9.00 am. 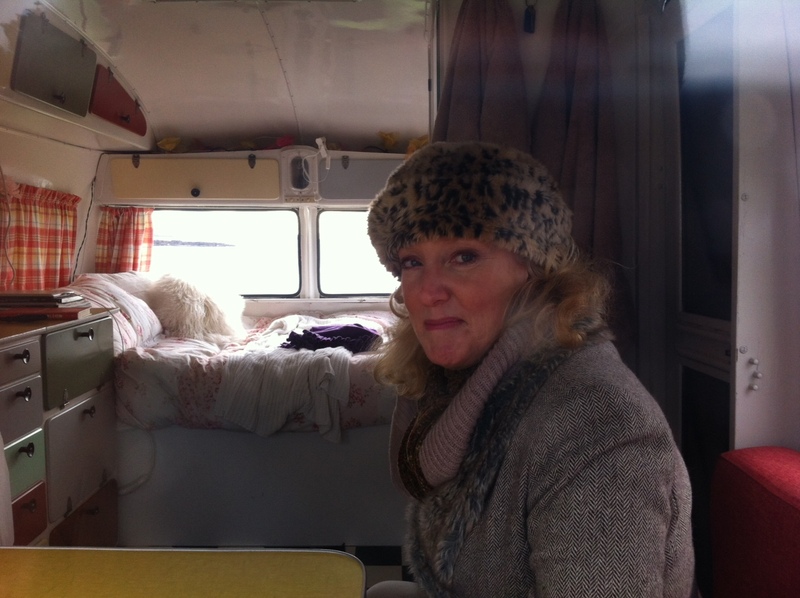 Wonderful cafe serving beautiful cappuccinos and located very near the caravan park. 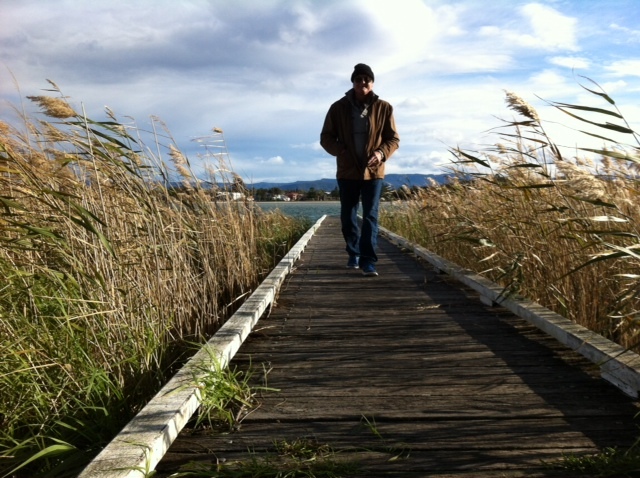 Windy Lake Illawarra. Nobody fishing here. In fact, nobody here at all. Nights were snug. That’s Boo Boo, my pet black toy poodle, in the window keeping guard. The good thing about the beach in the middle of winter is that it is absolutely empty and I’ve got no chance of getting sunburned with my winter woollies on. Snug as a bug in a rug. I wore every piece of clothing I brought with me. Lots of layers. Including my PJs. Fishermen don’t seem to be concerned about the cold weather. Nor the Pelicans. 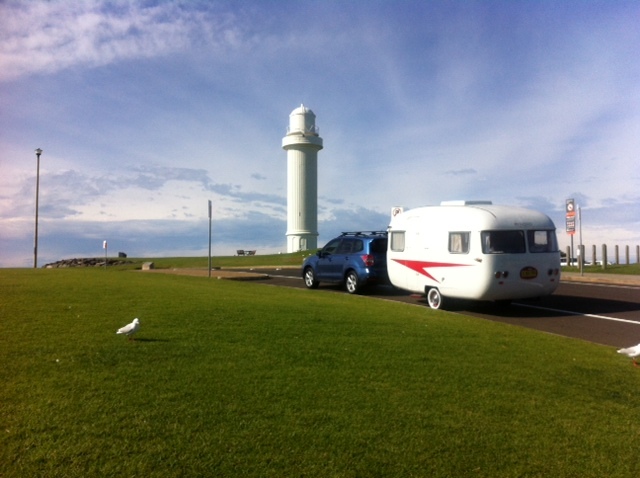 Wollongong – a surprisingly beautiful scenic place to visit. 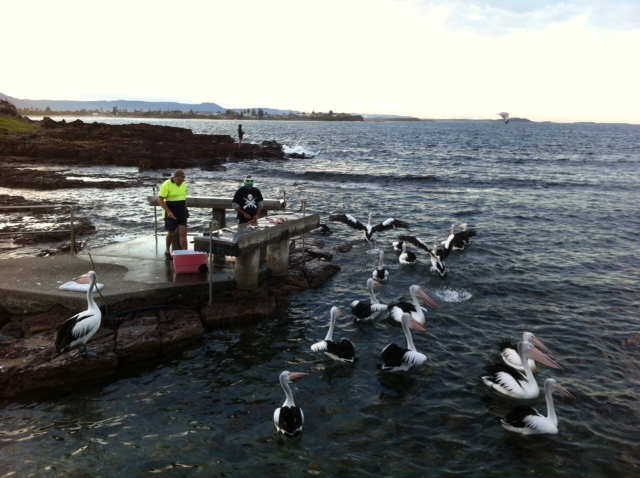 We stopped at Wollongong’s Fisherman’s Wharf for lunch. 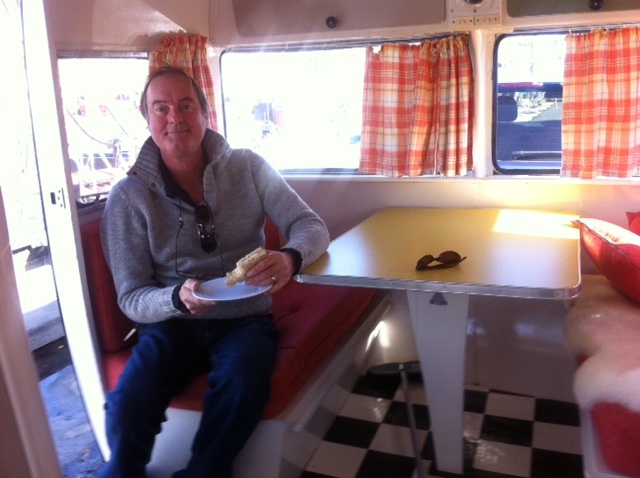 I love how we can pull up, jump in the van and russell up a lovely lunch. 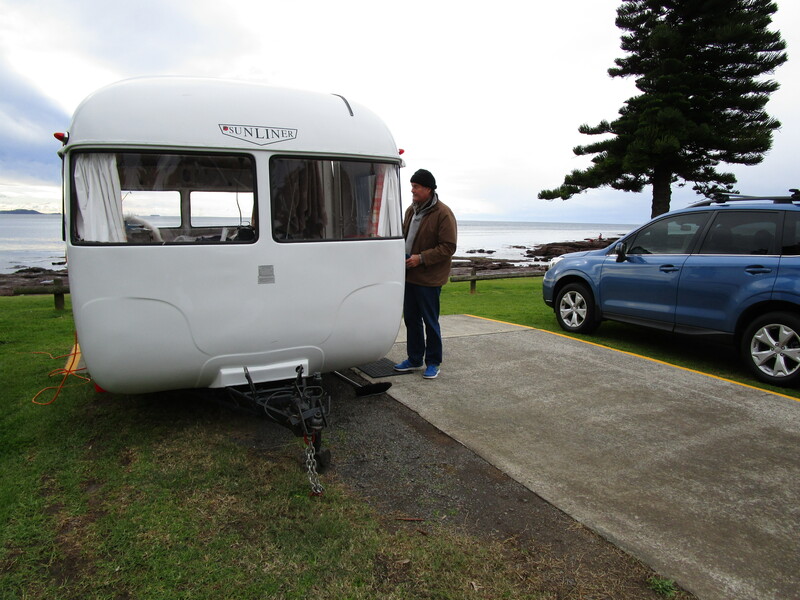 We stopped at Austinmer on the way home for morning tea. 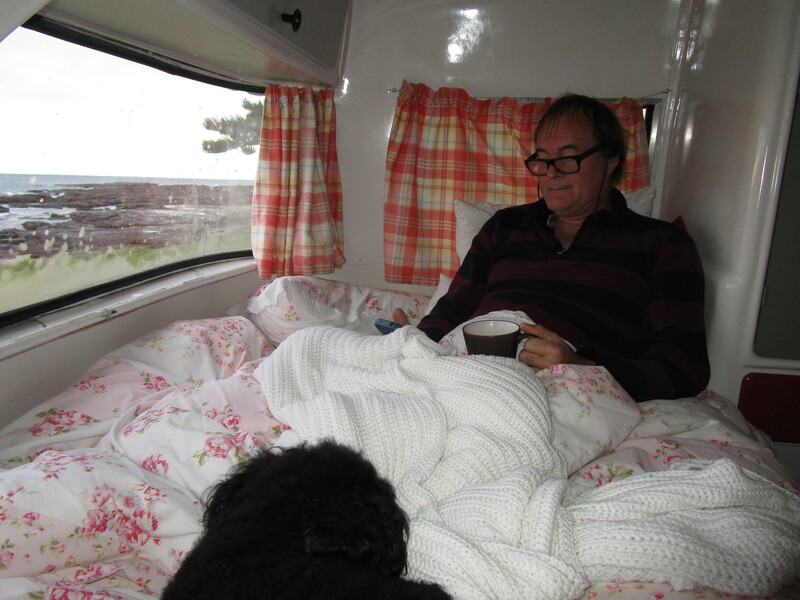 We grabbed a couple of coffees and sat in the van looking out at the ocean. The beach was empty. A little drawback is that people keep coming up and talking. I don’t mind. Justin loves it. It’s a boy thing. But sometimes they go on and on about nothing at all in particular, and what I want to say is, “Excuse me, would you please get out of my view”. 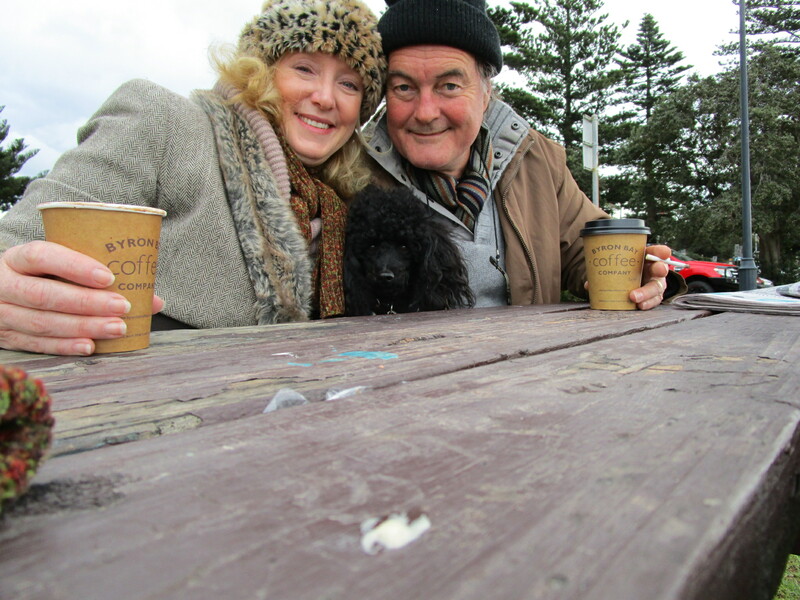 We stopped at the Bulli Tops lookout. Sitting in the caravan we didn’t notice the wind at all. Stunning views. Great photos. 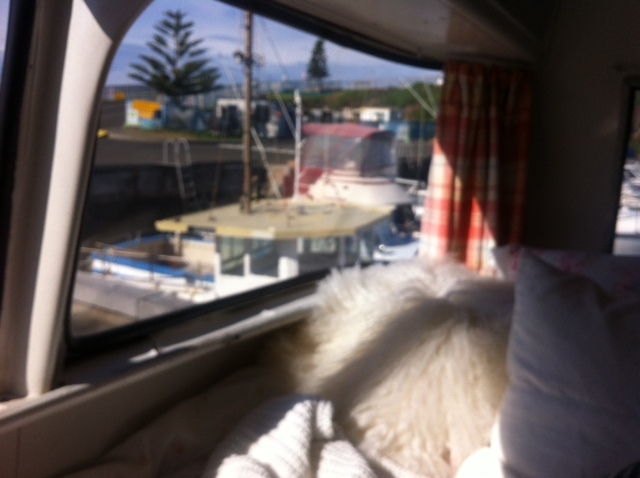 We have a 1976 Zephyr and it’s so comfortable! looks like you’re having a lot of fun with yours. 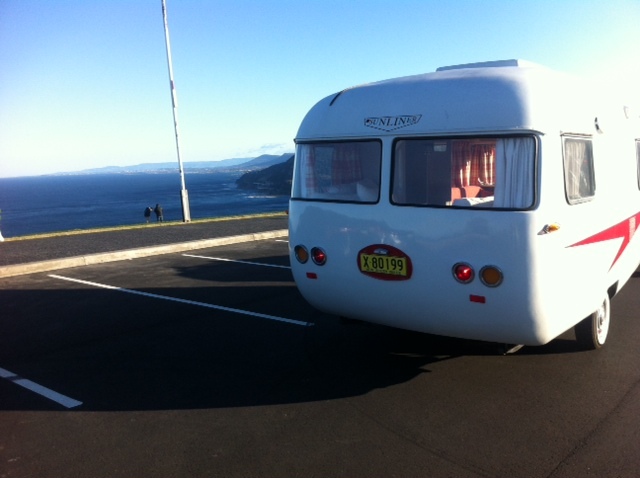 NZ has some lovely old vans! 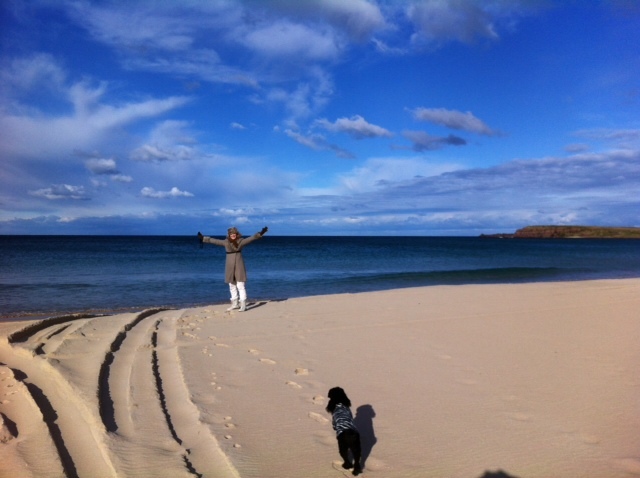 It’s a lot of fun – and a way that I can take my little dog with me wherever I go.